Keep perishables at food-safe temperatures with this premium Polar Tech 48 oz. 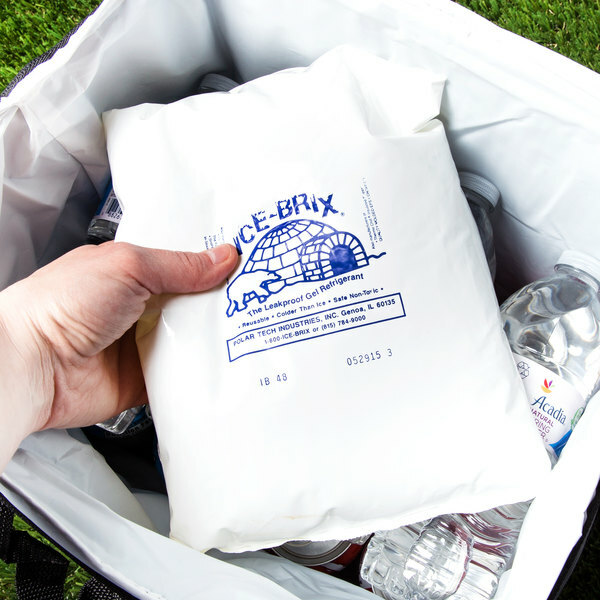 Ice Brix leakproof cold pack! This specially-formulated, viscous gel refrigerant delivers long-lasting cold to keep your chilled foods at constant, desirable temperatures. Plus, it's made with non-toxic refrigerants for added peace of mind. 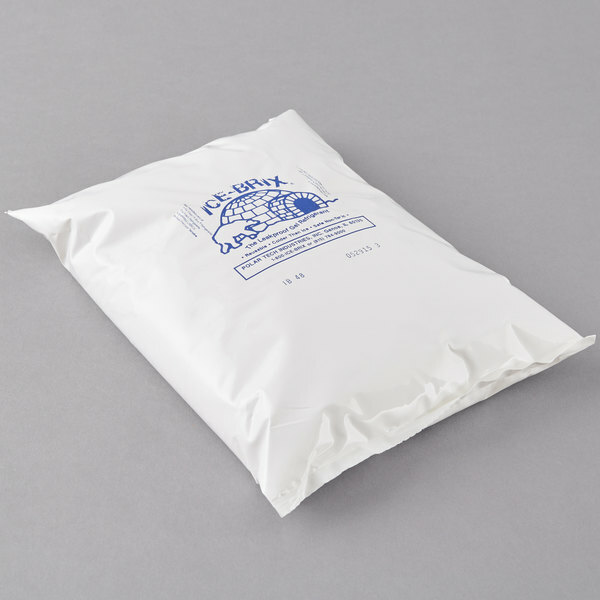 The poly bag containing the refrigerant is sealed in a heavy-duty, white plastic pouch for longevity. 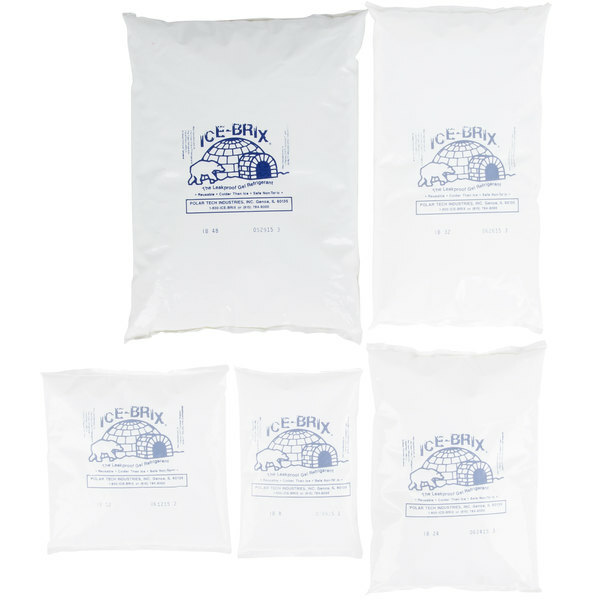 Since it's leakproof, this ice pack is easier and cleaner than ice, effectively chilling food without the mess caused by melting ice. It is refreezable so you can reuse it again and again at your food truck, restaurant, deli, or catered events. 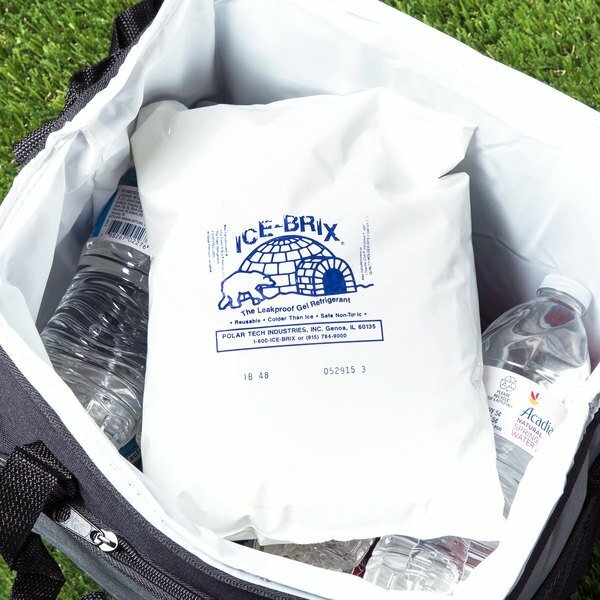 This versatile pack works well in virtually any application where you use ice to chill food and beverages. Use it in insulated shippers, pan carriers, and countertop condiment holders to keep items cold. 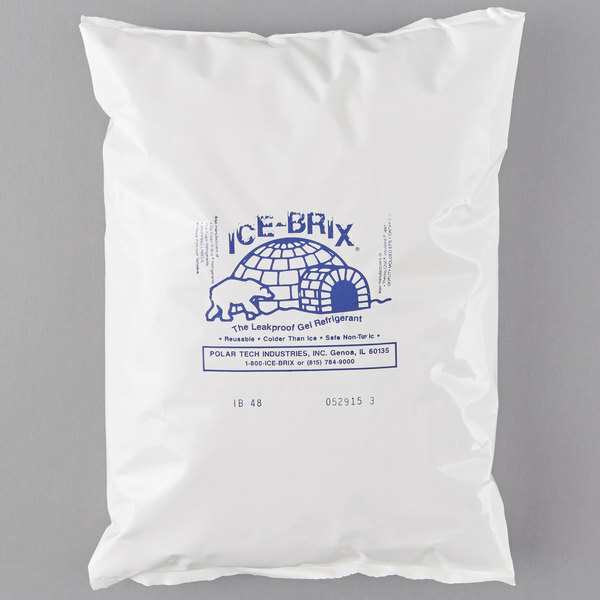 These cold packs are a lifesaver. No more worry about having ice to keep coolers cold, they hold their temps for a long time and don't take that long to freeze back up. these work great for random events. But when you need to use over and over, they tend to change shape and they tear easy. When they tear they leak.